In a corner of the Geneva Motor Show, a Chinese car brand made a quiet debut to the European auto industry. 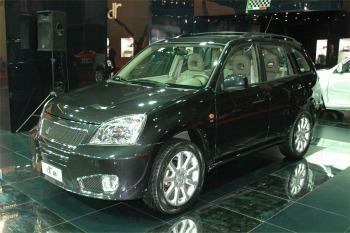 A range of four cars – two small city cars and two SUVs – is on display, all bearing a simple badge – DR. Yet these cars looked strangely familiar – in more ways than one. One of the small cars had a similarity to the Daewoo (Chevrolet) Matiz, while the SUVs had the look of a Toyota RAV4 about them. But to followers of the Chinese auto industry, these cars were unmistakable – they’re Chery models, and this is the first time they’ve been on sale in Europe. Surprisingly, rather than launch the cars itself, Chery is supplying the cars to an Italian distributor, which rebrands them DR. The name is derived from the company’s president, former racing driver Massimo Di Risio, who has set-up a strategic partnership with the Chinese car maker. So far one model, the DR5 five-door SUV, is on sale in Italy, and last year DR sold 1,953 of the rebranded Chery Tiggo 4x4s exclusively via 25 branches of the Fimiper store chain. But DR’s customer relationships manager Piergiorgio Zacchia said DR was now looking to augment this chain by adding 100 dealers in Italy, with a view to selling new models, including the DR1 (Chery A1), DR2 (Chery A3). Another SUV, the three-door RAV4 look-alike DR3, will be sourced from another Chinese car maker, Jonway. The cars are built in China and imported as semi-knocked down models. DR has restyled much of the front of the Tiggo to make the DR5, and it fits Euro 4-compliant Fiat engines to the DR5 at its own facility in Molisana, Italy, in a bid to comply with tougher European emissions laws. DR’s Geneva display signalled its European launch. This year it plans to start rolling out into other European markets, starting with Austria, then Spain, France, Germany, Scandinavia and East Europe, said Zacchia. 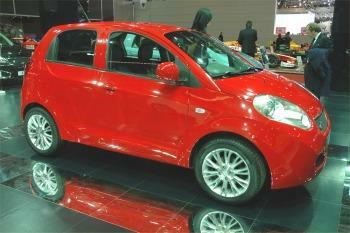 UK sales would depend on the availability of RHD models from Chery, and Zacchia said he did not know when these would be available.